Hitachi Kaihin Koen or Hitachi Seaside Park is spread over 153 hectares of land close to Hitachi city’s Pacific coast (Japan). The park is best known for its seasonal flowers – Daffodils and Tulips in spring, Nemophilia and Rose in early summer and Kochia and cosmos in autumn. The park has become known for its baby blue-eyes flowers, with the blooming of 4.5 million of the translucent-petaled blue flowers in the spring drawing tourists. In addition to the annual “Nemophila Harmony”, the park features a million daffodils, 170 varieties of tulips, and many other flowers. The park includes cycling trails and a small amusement park with a Ferris wheel. Why not create a hotel that gives people a chance to experience nature amongst the tree-tops, while also providing a uniquely designed housing experience? These questions led to the creation of Treehotel in Harads – a place where nature, ecological values, comfort and modern design are combined for an exciting adventure. 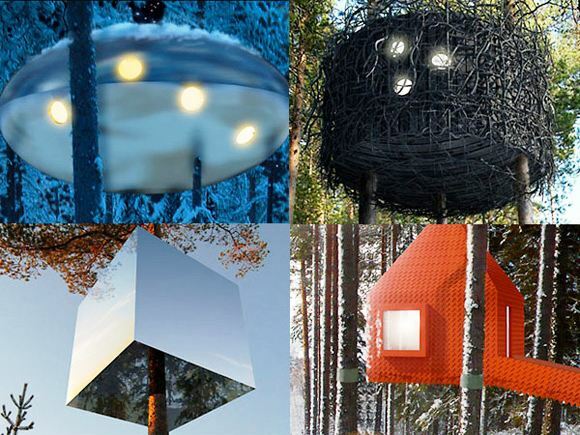 Treehotel was inspired by the film ”The Tree Lover” by Jonas Selberg Augustsen. It’s a tale of three men from the city who want to go back to their roots by building a tree house together. “The Tree Lover” is a philosophic story about the significance of trees for us human beings. The idea behind Treehotel is to offer high-standard accommodation in a harmonious place where daily stress melts away. Guests can relax and renew their energy while surrounded by unspoiled nature. 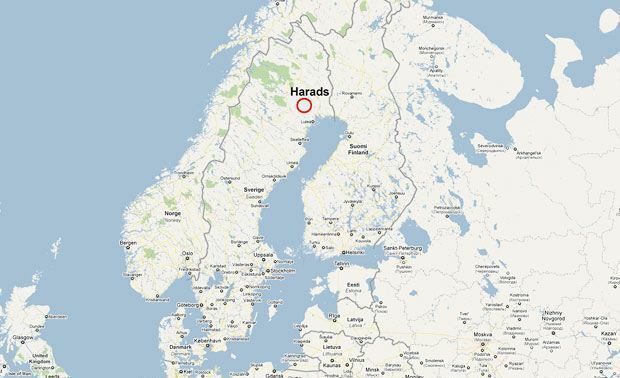 Treehotel is located in Harads, near the Lule river, about 100 kilometers from Luleå airport. The village has a population of about 600 and features a restaurant, shop and guest house. When you arrive at Treehotel, you check in at Britta’s Pensionat. Then it’s just a short stroll through the beautiful nature to your treeroom. The most striking part of Harads is its magnificent surroundings. From Treehotel’s rooms you get a fantastic view of the Lule River valley, miles of forest and the powerful river. Here you can forget about the time constraints of everyday life, enjoy the serenity, and rejuvenate in a sophisticated yet familiar environment. The guests are offerred the three rooms and each room is unique. Not only the architecture but also its furniture, lighting and fabrics are custom designed. The rooms vary in size between 15-30 m², with the largest rooms accommodating up to four people. A very important part of the concept is to consider ecological values and make minimal environmental impact. The daily operations as well as the tree room’s construction are environmentally friendly, aimed to have minimal impact on nature. That’s why each room has modern, environmentally-friendly combustion toilets and water-efficient sinks. Our partner and famous traveler Rick Steves meets one of his tour guides, Francesca, for Rome’s ritual evening stroll — the passeggiata — on a walk that laces together its top after-dark hotspots. After the sun sets, the city cools down and the illuminated streets, squares and monuments take on another personality. This is people-watching at its best. 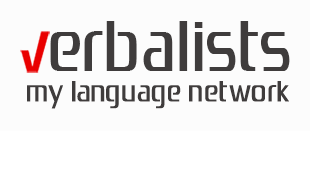 Sign one of our language immersion courses described here and join in! The Poseidon Resort is for anyone who has always wanted to experience the life of the Little Mermaid and sleep under the deep blue sea, surrounded by beautiful rainbow fish and marine life. But you had better have a royal bank account if you wish to experience the life of the princess of the sea. A one-week stay at Poseidon will cost $30,000 per couple. Or you can go whole hog if King Poseidon really is your father and rent the whole resort for $3,000,000! Can you believe that’s actually an option? The resort, which is currently under construction on Katafinga Island in Fiji, will feature twenty-two 550-square-foot (51 m2) guest rooms, an underwater restaurant and bar, a library, conference room, wedding chapel, spa and a 1,200-square-foot (110 m2) luxury suite. The resort claims that it will take two years to build once they have raised enough funds, and has released a cool preview video showing renderings of the resort. 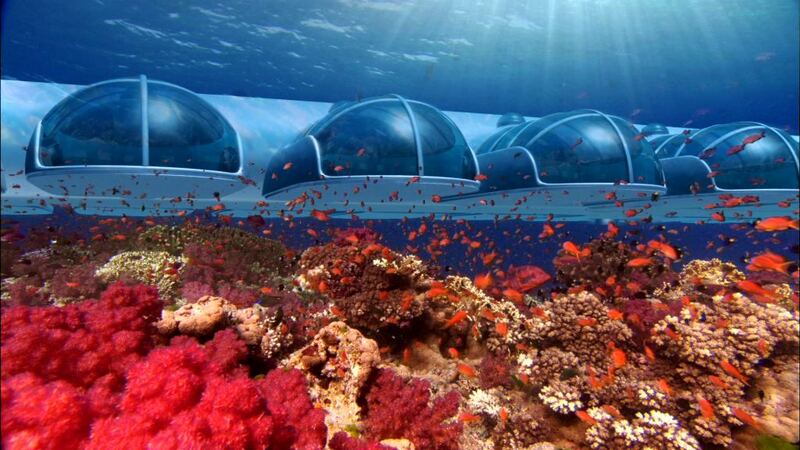 Here’s what the Poseidon Undersea Resort will look like. 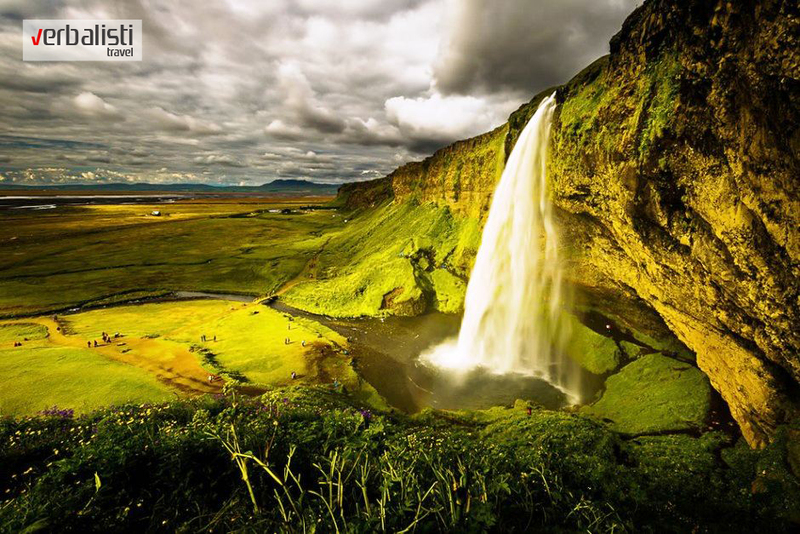 Seljalandsfoss is one of Icelands most beautiful waterfalls. It´s not the highest or mightiest but the fact that you can walk behind it makes it special. This waterfall of the river Seljalandsá drops 60 metres (200 ft) over the cliffs of the former coastline. There is the foot path that loops behind it, allowing visitors to see its beauty at a level that’s up close and personal.